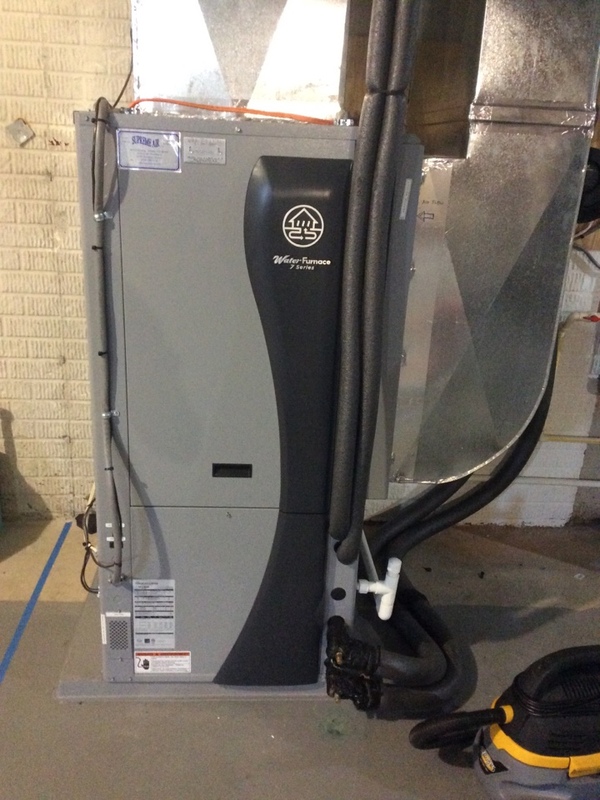 Supreme Air provides Air Conditioning, Heating and Plumbing Services, Repair, Installation, Maintenance, and Tune Up in Woodbine, MD and surrounding areas. Jonas was efficient and professional. Very pleased. Youssef's complete knowledge of geothermal systems and efficient work style is the standard that this industry should work to achieve. Spring Pm on 04/11/19 On arrival set units to call for cooling measured supply and return air temp measured voltage and amps inspected electrical connections checked drain and cleaned checked filter cleaned checked EWP and LWP psi highly recommended to install dehumidifier for the hole house I gave quote for customer accepted but he will wait until talk to his wife about the price. Unit tested unit operating normal at this time. 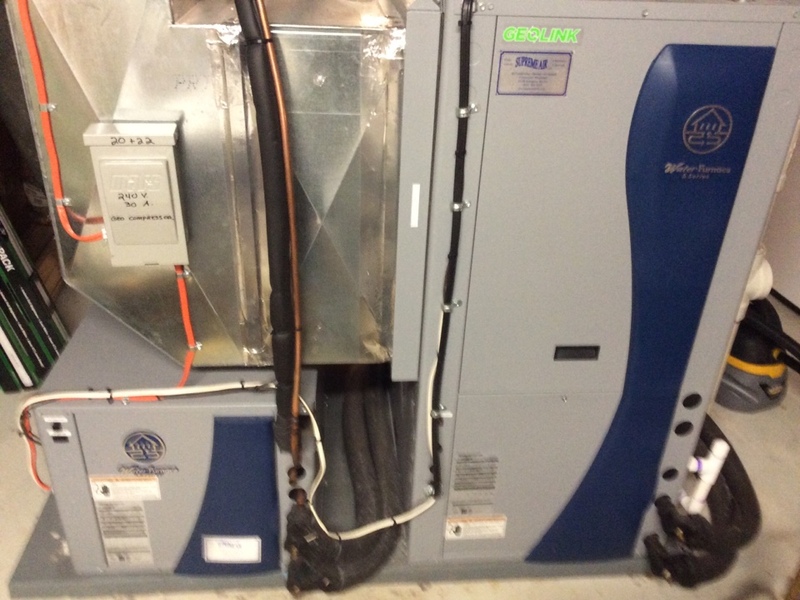 Spring pm on 03/19/19 On arrival set unit to call for cooling measured supply and return air temp measured voltage and amps inspected electrical connections checked drain and cleaned checked filter cleaned Measured EWP and LWP psi is good unit tested unit operating normal at this time. 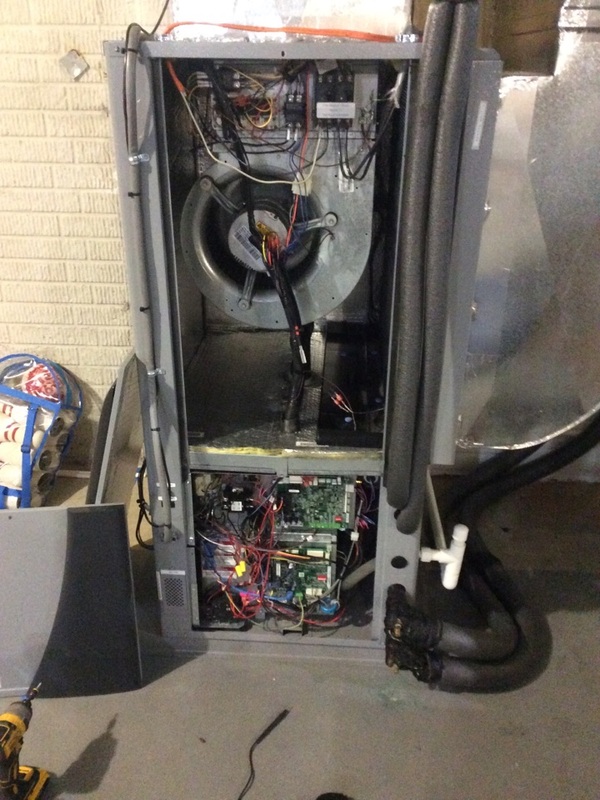 Spring pm on 03/19/19 On arrival set unit to call for cooling measured supply and return air temp measured voltage and amps inspected electrical connections checked drain and cleaned checked filter cleaned checked EWP and LWP is good unit tested unit operating normal at this time. Replace the faulty fp1 sensor. I replaced the fp1 sensor, insulated the sensor and secured the wires with zip ties. I plugged the aid tool in and ran the unit. Now the incoming water temperature and the sensor are reading the same temperature. 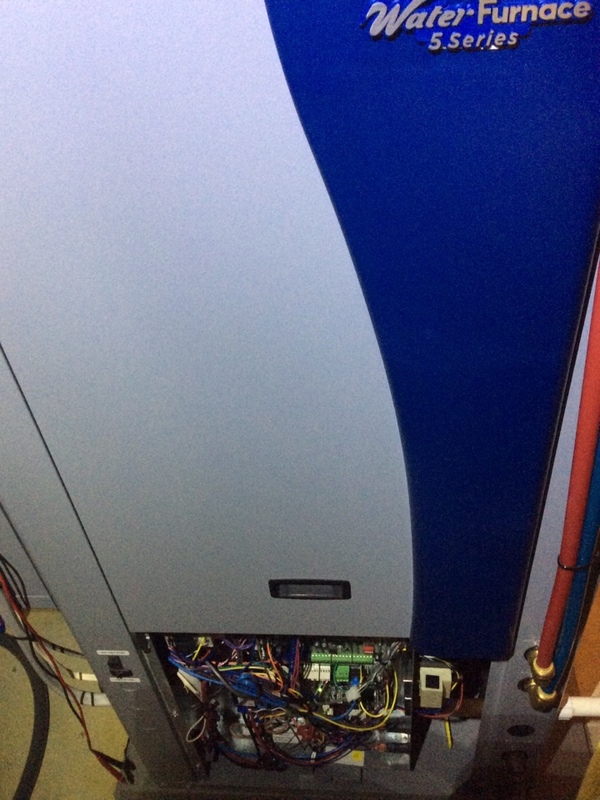 I retained the faulty sensor to return to Water Furnace. Unit operating normal. Customer was told that $25 discount would be given for me running later than anticipated. Once the office credits this to the customer there will be no remaining balance. Upon arrival customer informed me that systems werenâ€™t keeping up earlier in week when it was very cold. During diagnostics I found packaged unit fp1 dip switch set to 30 degrees, closed loop so I changed to 15 degrees. Also found low water flow rate, not moving enough gpm, moving water too slowly. Increased to match specs. Then I found blower speed too low, high delta air temp. Increased to specs. Continued to check operation and found all specs match installation manual chart. Unit operating normal. Went to top floor split system and ran heat. Found water flow rate too high, not extracting enough heat. Lowered flow rate to match specs then checked operation. Found system operating normal. Customer wanted verification on temperatures at thermostat, wasnâ€™t sure if they were reading correct temp. Put temperature probe above all thermostats and they all matched temperature. Informed customer that thermostat does not read decimals on display but calculates the decimals for operation. Service call on 01/20/19 On arrival set unit to call for heat unit is coming on but I herding noise is coming from motor tested the capacitor checked electrical connections checked the motor I found the the fun motor is bad when I touch it my hand it was hot gave quote for customer accepted I ordered the parts we have comeback finish the job.I turn off the unit until finish the job collected full amount of the job $1107 for fun motor replace and$99 trip fee total $1206 on C.C 01/22/19 replace the blower motor checked electrical connections checked voltage and amps measured supply and return air temp checked filter unit operating normal at this time. 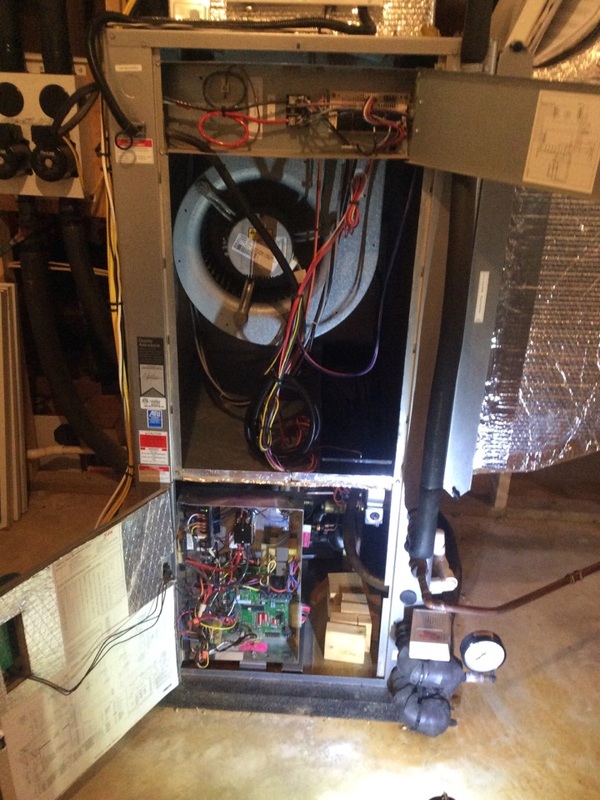 Fall pm On 01/16/18 On arrival set unit to call for heat measured supply and return air temp measured voltage and amps inspected electrical connections checked drain and cleaned checked filter and replaced recommended air filter need to replace on time unit operating normal at this time. Also the customer need to install new ductless system on summer customer needs quote for it. To install in line check valve for second sump pump line in basement.... - Installed new 1.5â€ check valve on second sump line to stop water from other pump back flowing into the secondary sump pit. Showing a great family how to use EZ Trap condensate drain line kit in Woodbine, MD.